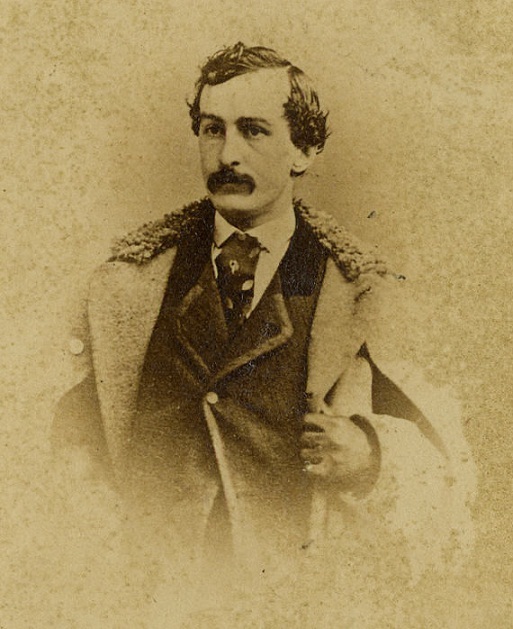 John Wilkes Booth was well known for his devotion to the physicality of the characters he portrayed. While his elocution of Shakespearian parts required additional training, audiences would still come out in droves to witness Booth leap and fight with unbridled passion. It was Booth’s energy that made him a star. Even Edwin remarked at his brother’s ability by stating, “When time and study round his rough edges he’ll bid them all ‘stand apart.’” Edwin paraphrases a line from Richard II that states, “Stand all apart, and show fair duty to his majesty” displaying his belief that his brother had the makings to be a prince of the stage as well. “As an actor he had more of the native fire and fury of his great father than any of his family, but he was as undisciplined on the stage as off. When he fought, it was no stage fight. If his antagonist did not strain his nerve and skill, he would either be forced over the stage into the orchestra as happened, I believe, once or twice; or cut and hurt, as almost always happened. He told me that he generally slept smothered in steak or oysters to cure his own bruises after Richard the Third, because he necessarily got as good as he gave, – in fact more, for though an excellent swordsman, in his blind passion he constantly cut himself. How he threw me about! Once even knocked me down, picking me up again with a regret as quick as his dramatic impulse had been vehement. In Othello, when, with, fiery remorse, he rushed to the bed of Desdemona after the murder, I used to gather myself together and hold my breath, lest the bang his cimeter gave when he threw himself at me should force me back to life with a shriek. So, while Booth was known to be a heart breaker to the women he wooed off of the stage, it appears he was known as a bit of a bone breaker to those he encountered on it. One interesting note in Catherine Reignolds-Winslow’s memoirs is the mention of her lending him a collapsible dagger. 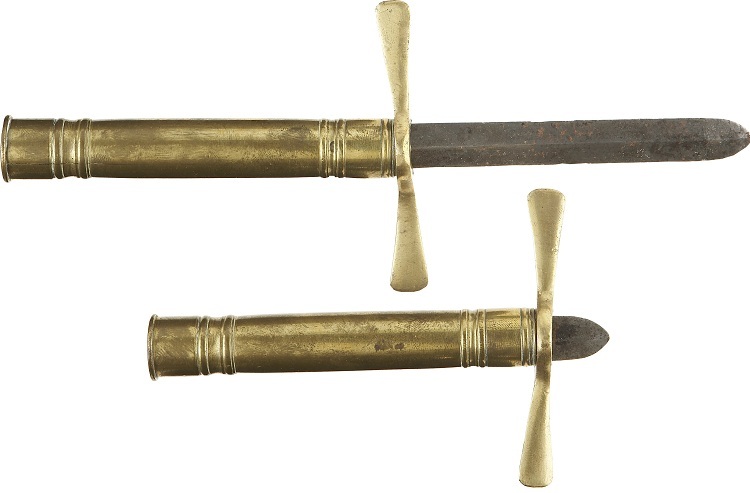 A similar dagger from the Booth family and apparently used by John Wilkes once belonged to Dr. John Lattimer and was sold at auction in 2008. If true, perhaps other leading ladies began requiring Booth to use such a prop in hopes that they might avoid further harm at his hands.